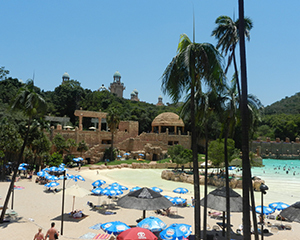 Only 187km from Johannesburg, the Sun City Resort is situated in the bushveld of South Africa’s North West province. 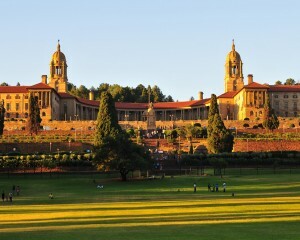 It is surrounded by the Pilanesburg Mountains and the malaria-free PilanesbergNational Game Park. The Sun City Resort draws thousands of visitors each year to its four hotels and guest can enjoy wonderful sporting and recreational facilities including two world class golf courses; The Gary Player Golf Courseand the Lost City Golf Course as well as the magical Lost City water-park and The Valley of Waves. 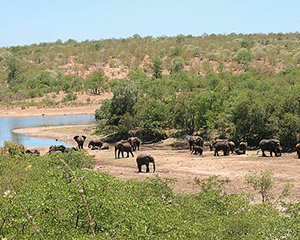 The world-renowned Kruger National Park offers a wild life experience that ranks with the best in Africa. 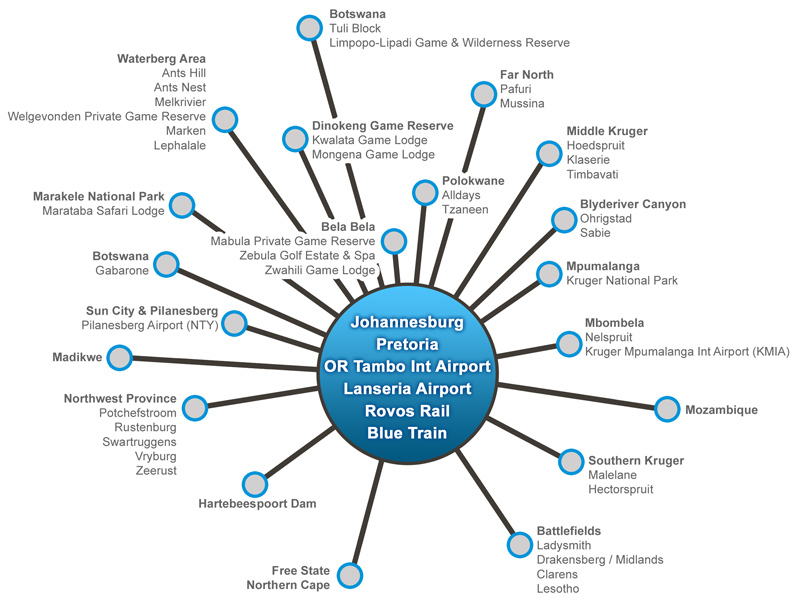 Here you will be at the home of Africa’s Big Five: Elephant, Lion, Rhino, Leopard and Buffalo. 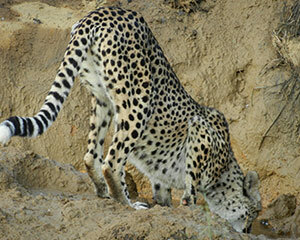 You will discover a unique wildlife experience as you go on real African safari. 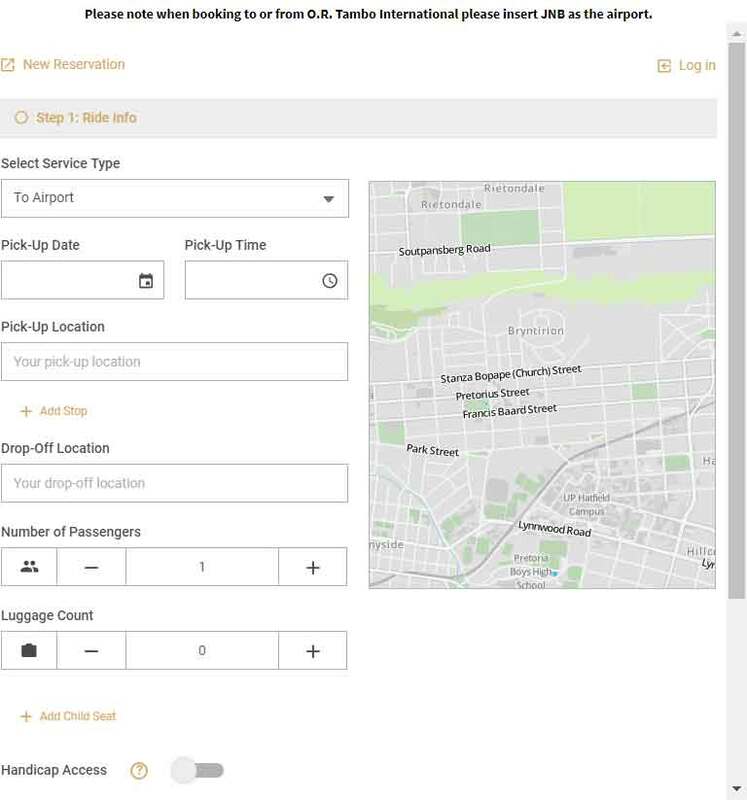 All our Kruger Park tours are custom tours with various safari options ranging from day tours and budget to exclusive private getaways. 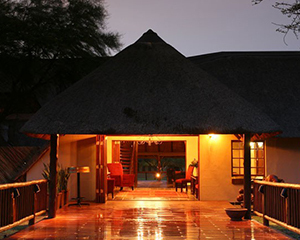 Mongena Game Lodge is situated in the malaria-free Dinokeng Game Reserve, a 30 minute drive north of Pretoria. Mongena guarantees a one-day bush safari without equal for the international or leisure traveller with time constraints. The Ann van Dyk Cheetah Centre in the North West Province, a 15 minute drive from Hartebeespoort Damoffers an amazing opportunity to learn about South Africa’s wildlife and the efforts to ensure the survival of the Cheetah, African Wild Dog and many other wild animals. 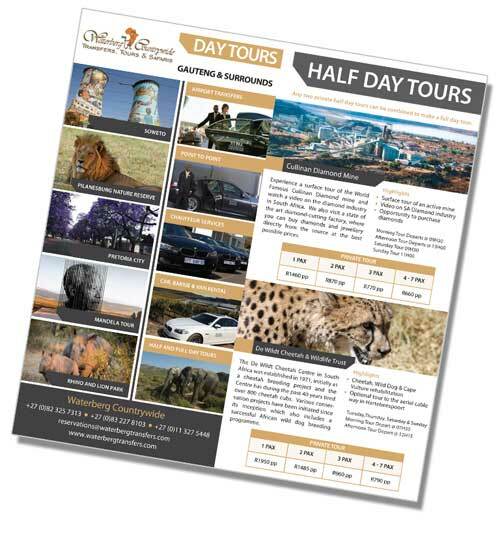 Guests can choose from a range of tours including: 3 hour guided tour and Cheetah Run, 3 hour guided tours, family tours, feeding round tours, private and exclusive tours.